Animal print has long been a staple in fashion for many years. It never seems to go out of style. I love a splash of animal print in my warbrobe or even in my home decor. The choices are plenty to add that pizazz you need to put a pep in your step and feel the roar. Ok, that was cheesy, but I had to say it! Several friends have asked me to help them decorate their homes, and while they have a good eye and direction they seem to always add too much animal! It is a bold statement that carrys itself well in small doses. A splash of zebra here, and maybe a leopard pillow there, and in no time you have a fabulous design. That rule however, doesn't apply for fashion. As long as your not head to toe, in which case you could look like you were in costume, or not mixing up several (as in more than two) pull out a look that will turn heads. Another girl will always look at you to see how you styled your outfit when you wear animal. It's the nature of the beast! Ok no more cheesy line! 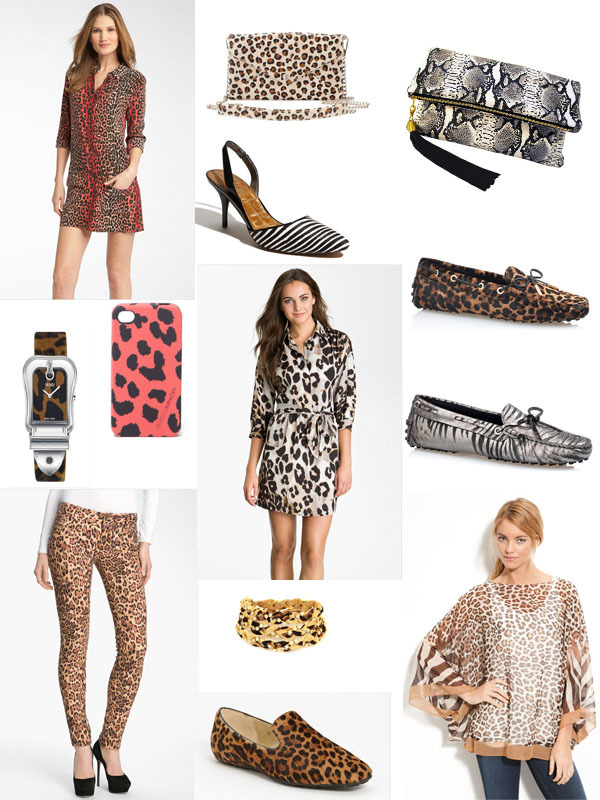 I LOVE animal print!! I have the Rebecca Minkoff cheetah phone case, and now in LOVE with the cheetah print wrap dress! Its sometimes hard to find a good balance of cheetah print, but you've found it! Great finds!